WILL JADE HELM GO LIVE LIKE 9/11 AND THE BOSTON MARATHON BOMBING? These are high resolution photos of the SAM missiles, that many say do not exist. 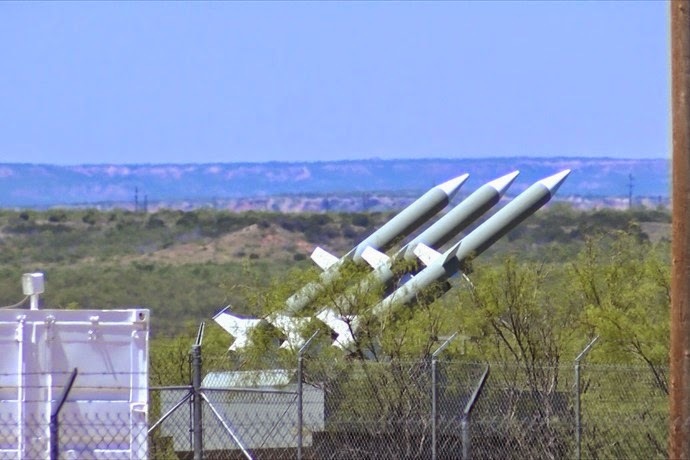 These missiles are located 45 miles southeast of Lubbock, TX and were originally photographed by Travis Kuenstler. This high resolution photo was taken by a local television crew from KMAC TV. To find out more click here.